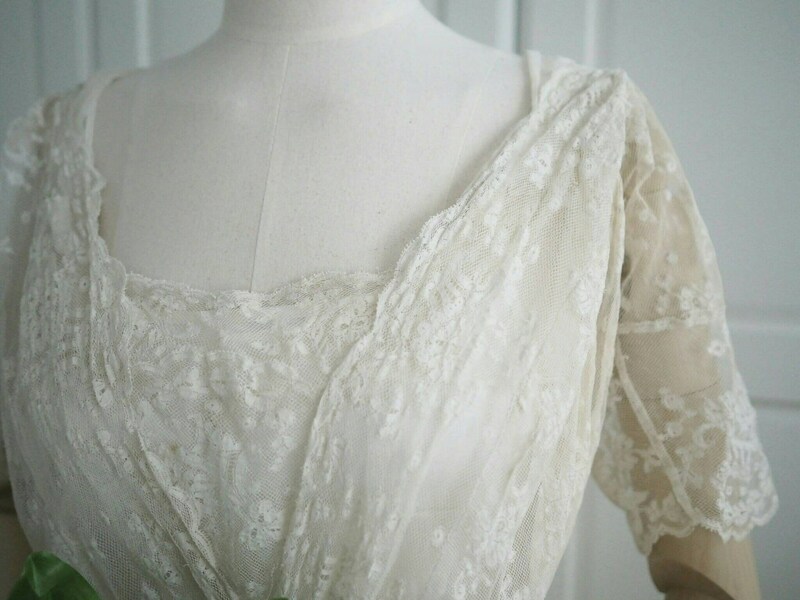 A very delicate Edwardian period wedding dress, made of cotton valencienne fabric. 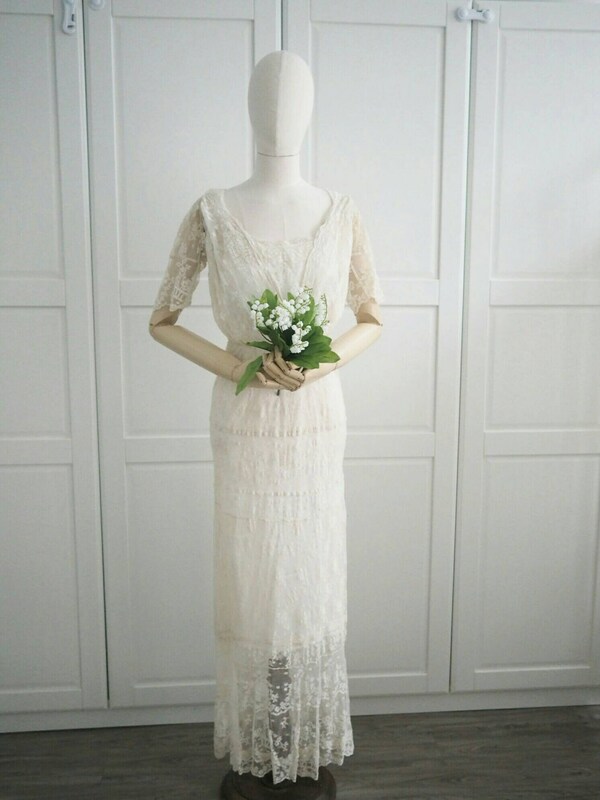 Lace is ivory in color due to age of the dress. 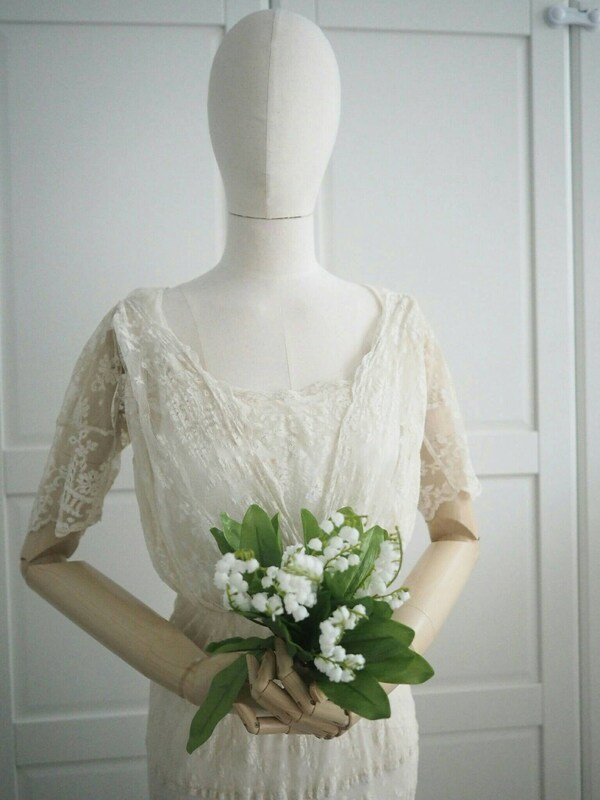 It has a few tiny pinholes on the lace and four mends on the bodice that blends perfectly. Hook and eye closures are replaced. There are a couple of rust spots which are less than 1 mm on the bodice but are noticeable.